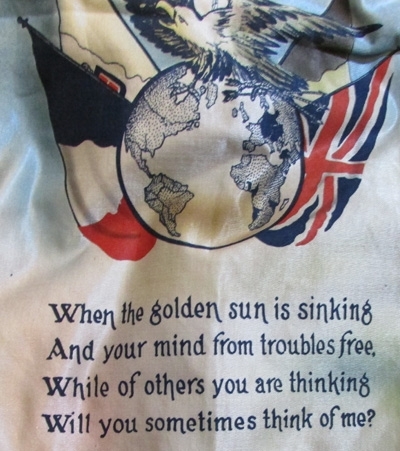 US WWI, Patriotic Pillow Cover, U.S.A. 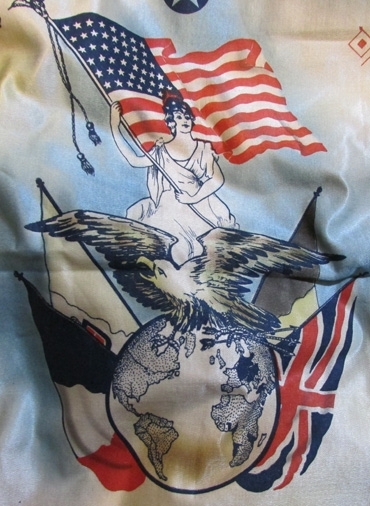 Original period manufacture. 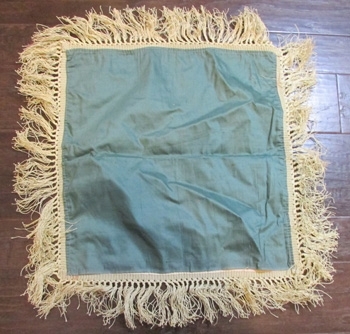 Colorful, WWI era patriotic pillow cover with a fringed edge. 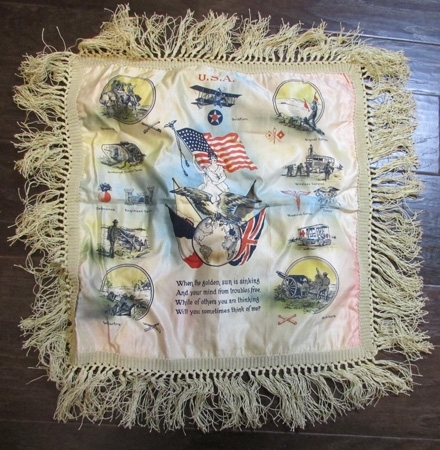 Printed design on silk, depicting assorted service units of the US Army of WWI.No issues, normal age and wear, measures 18 x 19 inches without the fringe. 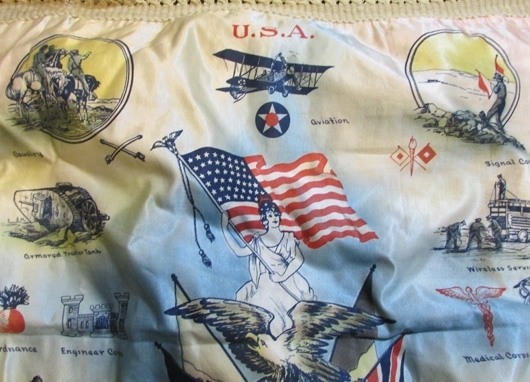 Photos of US WWI, Patriotic Pillow Cover, U.S.A.